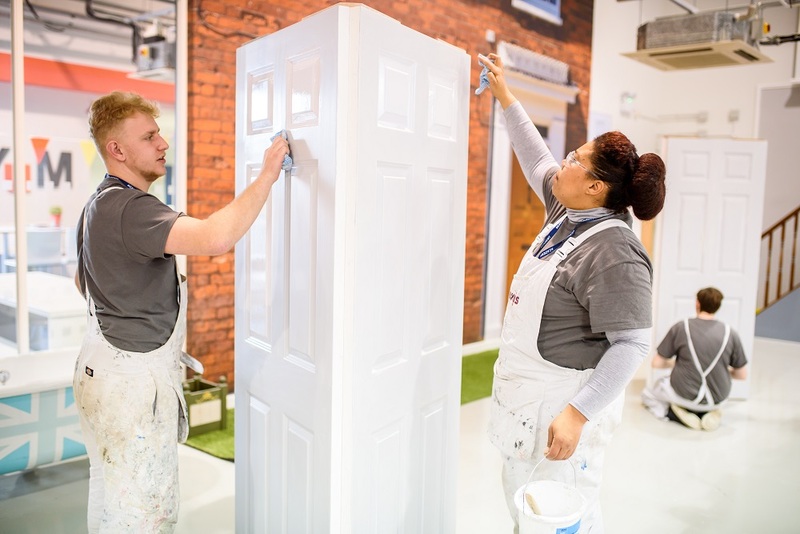 In celebration of the 10th National Apprenticeship Week, Dulux Trade is inviting current painting and decorating apprentices to take part in a series of events being held throughout the week at the Dulux Academy in Slough and Ashington. The classes are designed to support and supplement the apprentices onsite and college training. The Dulux Academy provides hands-on, engaging learning experiences delivered by a team of industry leading experts. The Dulux Academy courses maximise students learning experiences to equip them with the knowledge, understanding and skillsets they need to carry them forward into their future careers. The events will provide attendees a basic understanding of paint and the varying processes and methods involved in application. After a brief theory based session, those attending will benefit from activities and workshops designed to allow them to put into practice what they have learnt. This is an ideal opportunity for apprentices to gain expert advice and guidance from our experienced trainers. – Having opened its doors in 2017, the new Dulux Trade Academy in Ashington will run events on Tuesday 6th and Wednesday 7th March. – The Dulux Academy in Slough will host events on Wednesday 7th and Tuesday 8th March. For more information on how to experience training at one of the Dulux Academy venues click here.